Login to your account, and select Send Money. If you use your paypal funds, you will get charged a 1% fee, otherwise they will charge you a 4.2% fee. 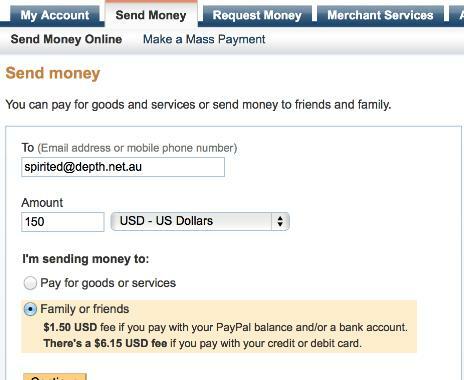 Below is a picture what your Send Money window will look like - this is not clickable.